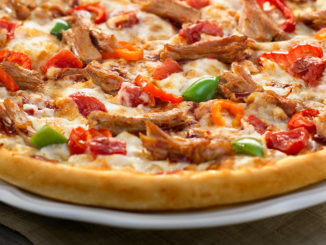 Heat meets sweet at Panago Pizza with the introduction of their new Sriracha-inspired menu. Panago’s new Sriracha-inspired menu includes the new Sriracha Steak Pizza, Sriracha Chicken Pizza and Sriracha Wings. 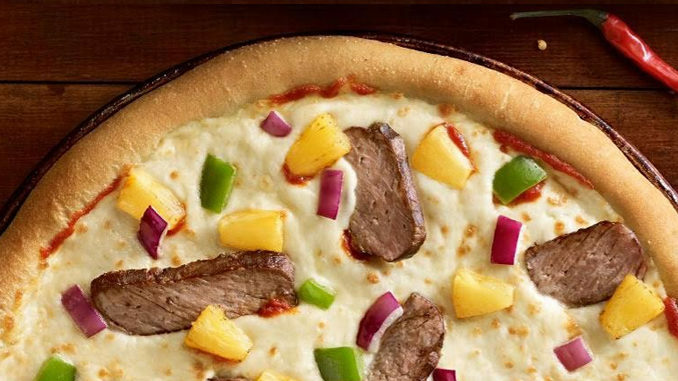 The Sriracha Steak Pizza features creamy sriracha sauce, steak, red onions, green peppers, pineapple and mozzarella cheese. The Sriracha Chicken Pizza comes topped with creamy sriracha sauce, grilled chicken, green peppers, pineapple and mozzarella cheese. The new pizzas are priced at $11 for a small, $13 for a medium, and $16 for a large. New Sriracha Wings are fire-grilled and seasoned with a spicy sriracha blend of spices. A 10-pack of wings is priced at $9.50. Additionally, Panago is also expanding their Cheezy Breads menu with the introduction of Super Cheezy Bread. Super Cheezy Bread features fresh baked dough smothered in cheezy cheddar sauce and topped with cheddar and mozzarella. An 8-piece pack of new Super Cheezy Bread is available for $5.50. Panago’s new Sriracha-Inspired menu and Super Cheezy Bread is available at participating locations. Prices may vary depending on your location.